While detecting a park, I decided to head back to the truck because activities had picked up that day at the park and I didn't want to distract others from their events. On the way back to the truck I had to cross a field that is maintained by the park district by mowing it a few times a year. I turned on my AT Pro as I entered the field and immediately got a signal that I thought was can slaw. To my surprise it was an 1865 2 cent piece. I was totally taken back by this and decided to continue detecting. 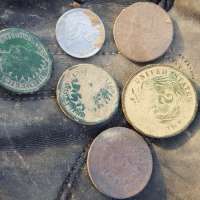 I then found 2 Indians, a shield nickel and an 1857 fling eagle penny. At this point I am thinking there has to be silver in here somewhere. The very next signal was iffy but I was on a roll, so I popped the plug and out came an 1857 seated half dime. I couldn't believe what I was seeing, what a day! 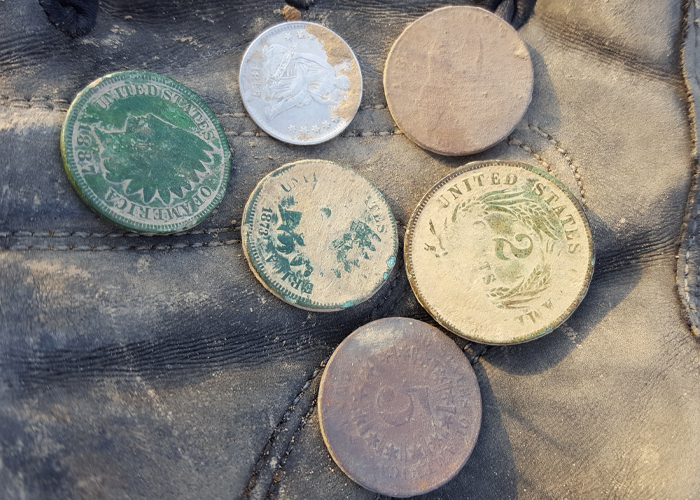 Two bucket list coins in one hunt, a flying eagle penny and a seated half dime. I can't wait to hunt that field again. All my equipment was purchased through Kellyco and I can't say enough about how helpful they have always been concerning my metal detecting needs. Thanks Kellyco!! !